I just want to take a quick moment to say how much I appreciate being American, all the freedoms that come with it, and the people that make freedom possible. In a country like this one we enjoy a great many liberties, and even things as simple as "cold beer on a Friday night" should not be taken for granted. Or no beer, if you so choose, because in the United States that's ok, too. 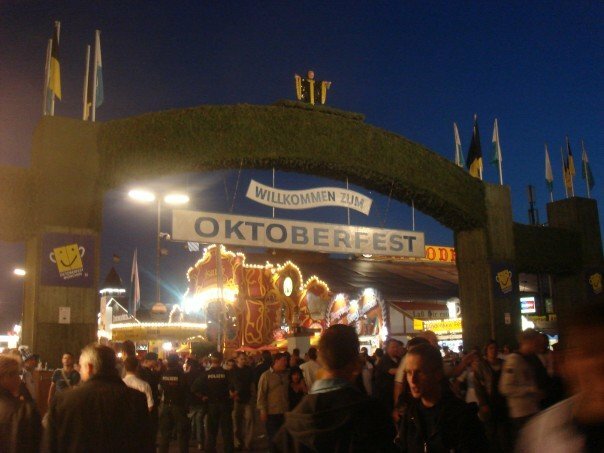 Oktoberfest was one hell of a celebration. 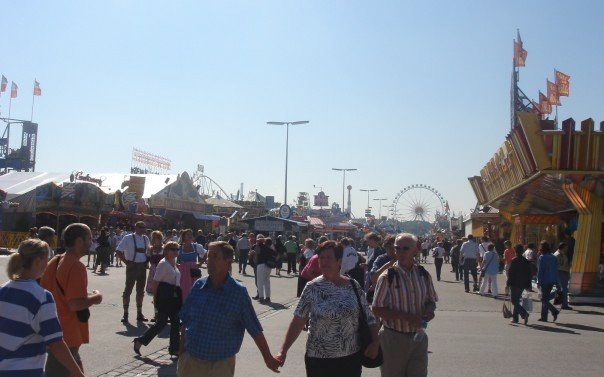 The event typically lasts for a couple weeks and draws millions of visitors. 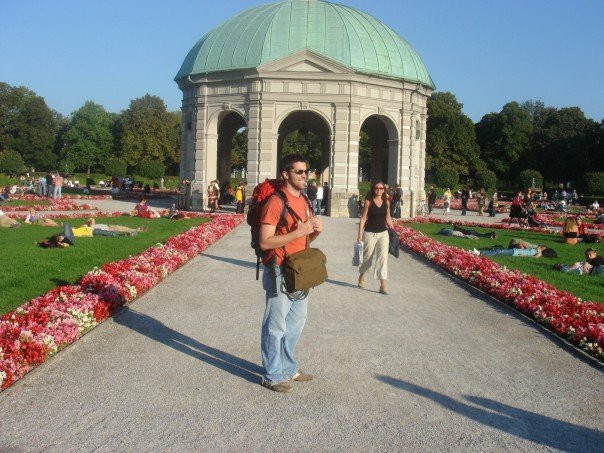 I had a week off from classes, so I bought a Eurail train pass and visited Holland and Germany. I met up with a college buddy, whom we'll call Double G (aka Gregg), and we descended on Munich without much of a plan, but with a massive appetite for beer. 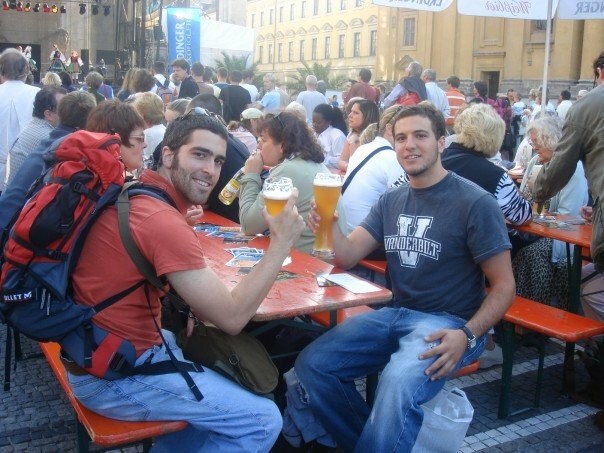 I was surprised to find there was more to Oktoberfest than just beer -- there were rides and games and really incredible food, too, but of course we started with beer: Spaten Oktoberfest in giant, 1-liter steins. After several liters of beer, a few turkey legs, a roller coaster ride, and a bratwurst or two, we took a quick break to recharge for the evening festivities. 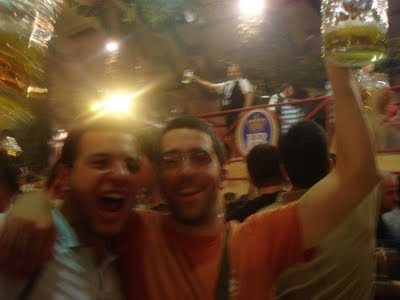 Our mission for the night was to get into one of the giant beer tents, which we were able to do without too much delay (I seem to recall sneaking in). 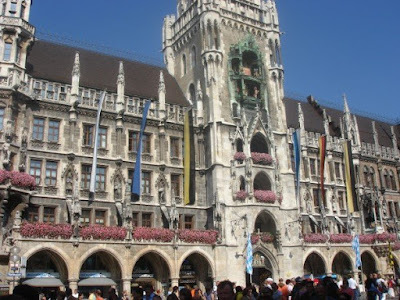 A famous clock, the Rathaus Glockenspiel, at Marienplatz. 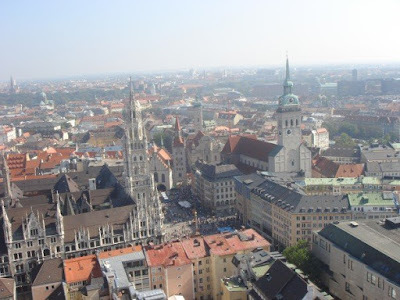 View of Marienplatz, the inner city square, from a tower in the Frauenkirche. The sun going down in the English Gardens. 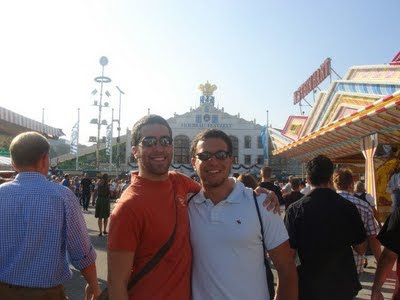 Oktoberfest was a blast and I wouldn't change a thing about that trip. I would, however, like to return and plan the accommodations ahead of time. I plan on going back sometime in the next three years. Anyone up for an adventure? Thanks, GG, for the photos and the good times. Trader Joe's fans - this is for you. I just wanted to take a quick break from making some beer to share a great blog I found recently, What's New at Trader Joe's. Husband and wife team Nathan and Sonia are on a mission to sample everything Trader Joe's has to offer and review it. They've only gotten as far as reviewing a few of TJ's somewhat marginal lagers, but I think the site and the concept is fantastic. Maybe they'd let me do a guest post on some of TJ's other brews? On a side note, I hope Trader Joe's will expand their selection of local beers. While the one in town has Williamsburg AleWerks, I'd love to see some Legend Brown Ale, St. George's IPA, or maybe O'Connor's El Guapo IPA. "NBC's Trendtracker and Supermarket Guru declared at the National Grocers Association annual meeting that the consumer value of local has moved from fad to trend to mainstream. Beer drinkers want to support a local company that employs their neighbors; they want a tie-in to their area agriculturally through the food they eat, and, where possible, to the agricultural products in their beer." Support the trend - support your local economy. 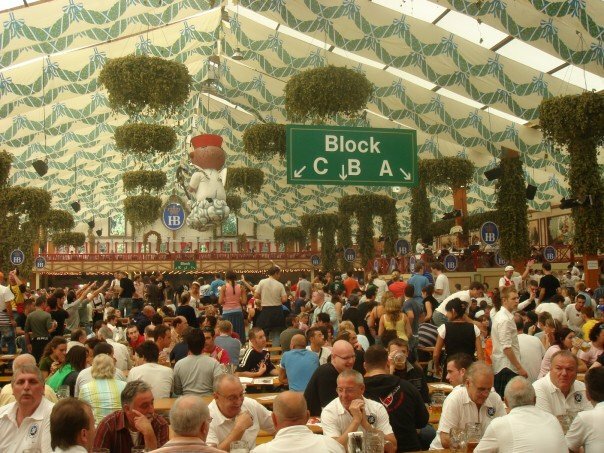 To read more about this and other trends in the beer industry, check out the full article here at CraftBeer.com.